Home Tags Posts tagged with "Picture Perfect Party"
Hi, today we are going to take a closer look at the Picture Perfect Party suite from the Occasions Catalogue. 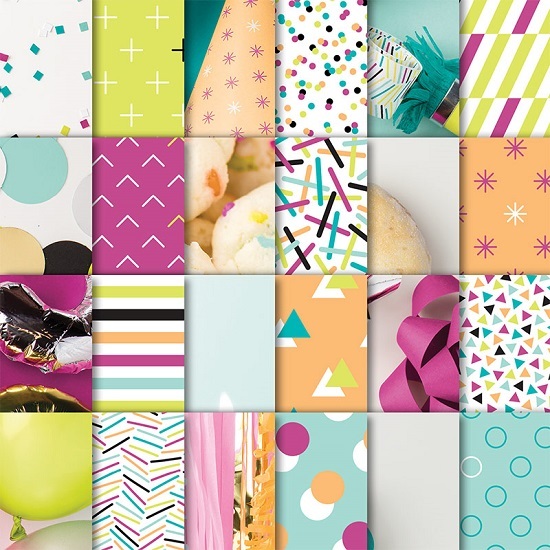 It is such a bright and happy suite with coordinating products in beautiful colours. 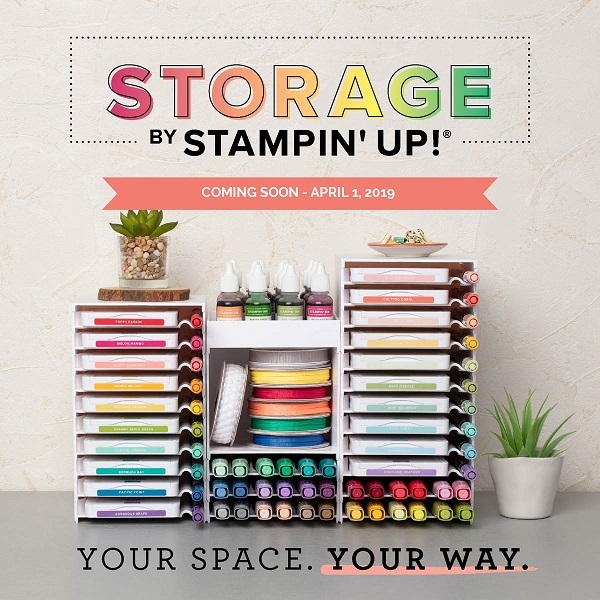 Let’s take a look at the video produced by Stampin’ Up! about this suite. Please note, the Paper Ribbon featured in the video is not available due to manufacturing issues. I hope you enjoyed this close up look at the Picture Perfect Party Suite. Hi, who’s a fan of quick and easy cards? Me too! I also love it if they pack a bit of a punch. Today’s card is so quick and easy and it looks beautiful because of the wonderful patterned paper (Picture Perfect Party) we are using as well as the gorgeous coordinating Berry Burst ribbon. Seriously, I wish you could see this ribbon – you will love it! It is so shimmery and pretty. All I did to make the card was cut out a piece of the Picture Perfect Party Designer Series paper which I matted on some Whisper White cardstock before adhering this to a card base made from Berry Burst cardstock. Next, I stamped the sentiment, in Berry Burst ink on Whisper White cardstock, which I then punched out using the Everyday Label punch. I also punched out another label from Berry Burst cardstock. I layered the sentiment to the Berry Burst punched out label. Two lengths of Berry Burst Ribbon were cut and the sentiment layered upon them. And that is the card done! Isn’t it lovely!? 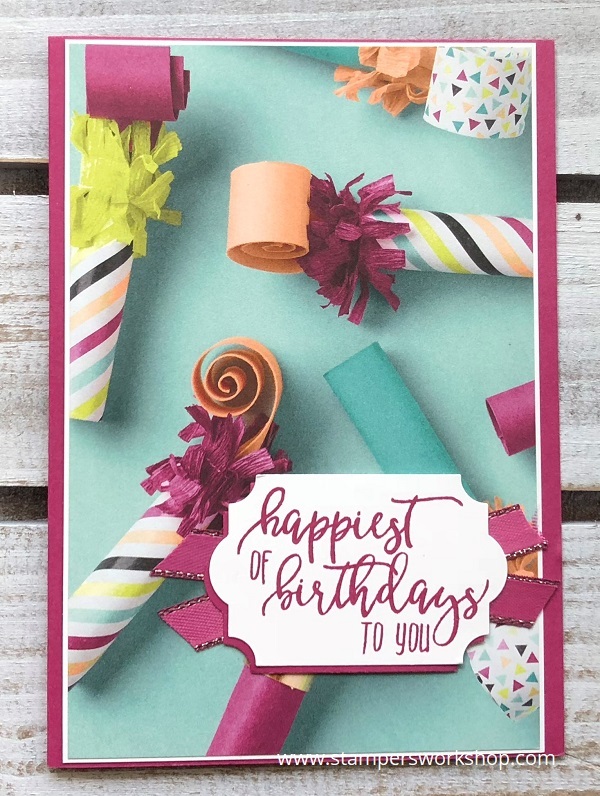 Of course, you can always add extra bits and pieces to the card, however, if you are looking for something quick and easy you cannot go wrong with a card design like this. Hi, have you missed seeing the cute pandas from the Party Pandas stamp set? 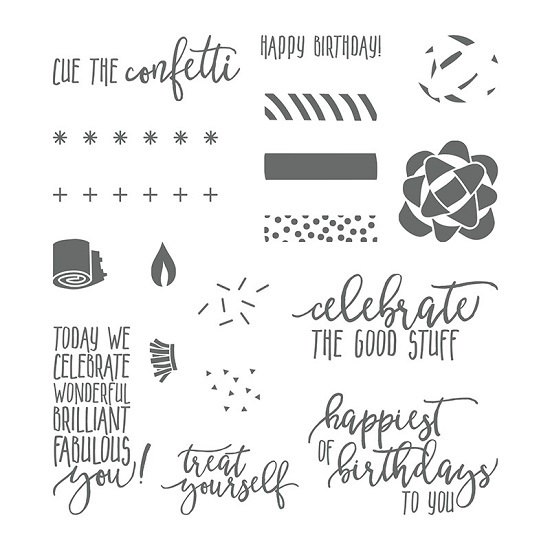 I could make card after card with this stamp set as it is so adorable! Today, I wanted to use all three pandas again but instead of putting them together, I thought I’d give them their own place on the card to shine. You’ll notice I’m using the Stitched Shapes Framelits again. They are fantastic and they are never far from my craft table. I had to be a bit creative when die cutting the panda with the balloon. I wanted the balloon to remain attached. There is one very easy way to do this. Line up the area where you DO NOT want the die to cut along the edge of the cutting platform. It may overhang a little and this is what we want. When you run the die through the machine, there is no pressure on this section and it will not cut through. I then fussy cut out the rest of the shape. Clever, isn’t it? Don’t be afraid to mix your colouring mediums either. 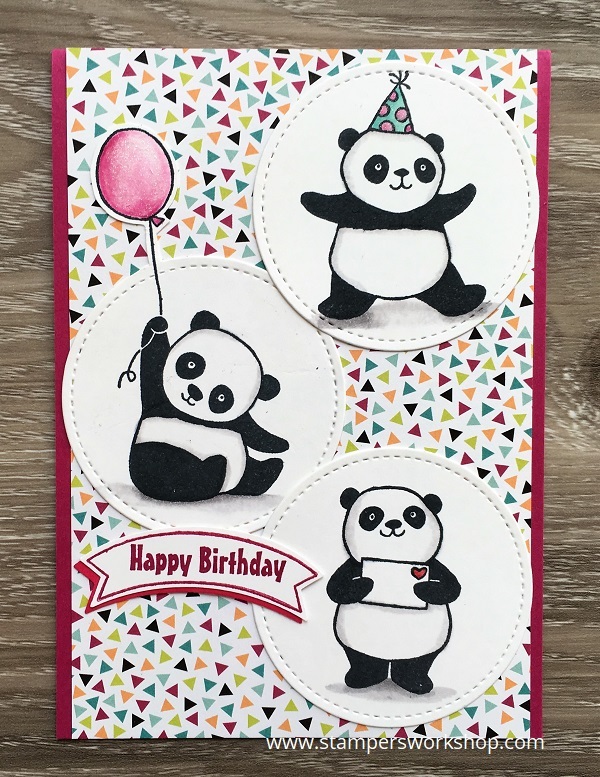 I had originally planned to colour the Pandas with Stampin’ Blends however when it came to the balloon colour I realised Berry Burst (the colour I was planning to use) is not available as a Stampin’ Blends marker. Instead, I used a Stampin’ Write marker and Blender pen to finish the balloon. 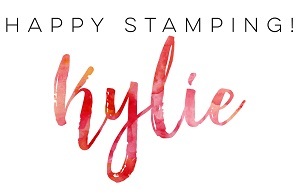 Don’t forget this stamp set could be yours for FREE; all you need is a qualifying order! All the details are here.